If somebody asked me to choose one coach that I’d like to go and spend some time with, surprisingly it wouldn’t be Danaher. All due respect to the Dark Lord, but there’ someone out there who has an even more brutally effective brand of BJJ. 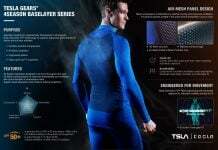 Is it BJJ though, or just simply submission grappling, optimized to the maximum? When grappling is the order, the man responsible for it can be no other than Neil Melanson. Yeah, you might not know him and that’s where part of the beauty is. He is also not a BJJ black belt. Again, it is what makes him exceptional rather than average. Well, that’s my opinion, anyway. Since I can hardly get my wish to go train with the guy, I can get the next best thing – his DVD instructionals. Luckily, Neil’s been really busy in the last year, coming out with no less than 5 amazing titles about grappling. 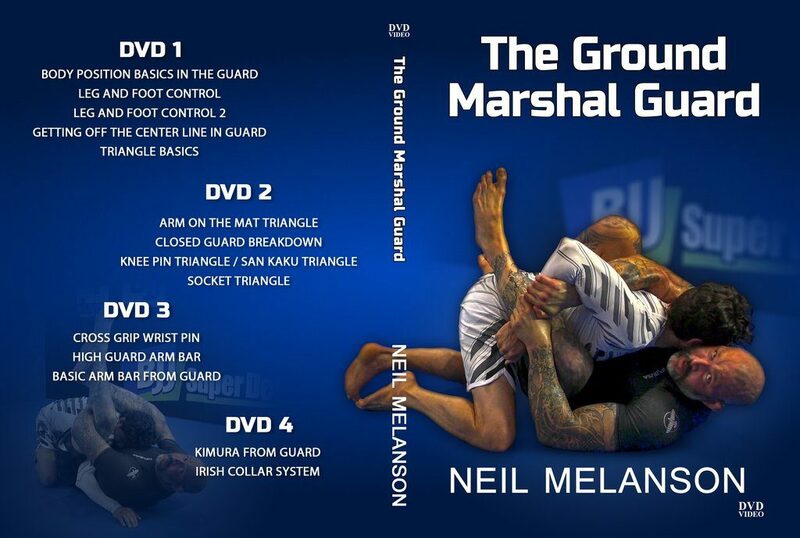 The Neil Melanson DVD Collection is out there people, and it explores submission grappling like no other digital set in the world! What is the point of training grappling martial arts if you’re shy about submissions? I’m guilty of doing that very thing, or was, at the very least. Up until I was midway through my blue belt, I never really did many submissions. The result – a horrible finishing rate. Abandoning a sound position to risk a submission attack was unimaginable for me. However, I did not like what was going on and had to act. So I decided to throw caution to the wind and go for submissions only. Looking back I could’ve approached everything with a bit more balance, but I was a blue belt, doing what blue belts do. So, my affinity for submissions was born. Years later, and I’m still on a submission hunting quest. 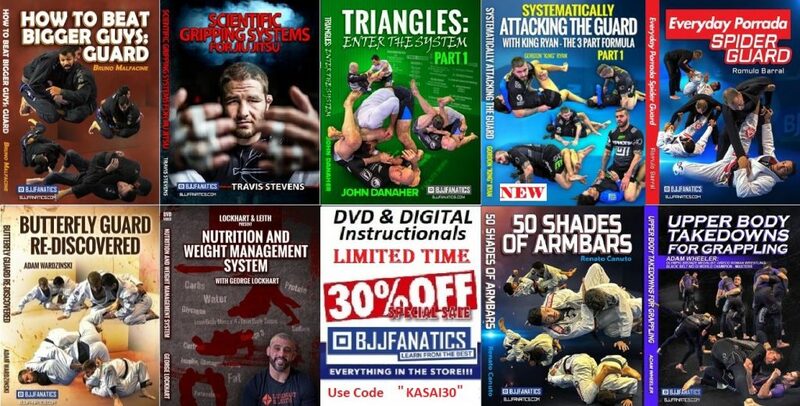 But now, I have the help of the Neil Melanson DVD Collection, the ultimate submission-focused instructional bundle. Why do I like this Neil Melanson guy and his teachings so much? Well, when I went out to explore the best ways of submitting people, I soon found out that BJJ was not the be all end all fo submission grappling. There are grappling martial arts out there that have really strong submission techniques. The problem is that people usually chose one, expecting it to be the solution to all. Instead, if submissions are your choice, getting the best moves from all arts and organizing them to fit your needs is what your goal should be. I used to do it (as best as I could) not realizing that some people already did it before. Now, with the Neil Melanson DVD Collection, I have a complete system that can help me submit anyone in any format! And the best thing about it is that it’s still going to grow! Neil Melanson is by far one of a kind in the grappling world. He is a true old-school warrior, one that’s as efficient on the ground as he looks intimidating. Is Neil the ultimate grappler? That one is hard to tell, especially with the lack of competition footage on him. However, if coaching is anything to go by, then he’s most certainly a top contender! Neil used to be in the service as well, and with some record! He spent 7 years in the Navy and 5 years in the Federal Air Marshall service. This makes him the top choice if you want to learn a grappling style efficient in all aspects of life. Form the mats, through the octagon all the way to the streets, what you learn from Melanson works without a doubt. Melanson, AKA “The Ground Marshall” has a unique and equally impressive grappling background. He has a black belt from Judo standout and UFC veteran Karo Parisyan. He also has extensive collaboration with a true legend of grappling, Judo’s very own Gene LeBell. Not skipping any grappling related martial art, Neil has a high-level Sambo pedigree as well, courtesy of Gokor Chivichyan. On top of all that, he was a formidable catch-wrestler before he even began looking into other arts. The result of such a rich background is a unique grappling style that’s apparent throughout the Neil Melanson DVD Collection. There’s no one art that’s going to find the whole system familiar. Neil is a true master of choosing only the things that work. Others in the grappling world area also capable of doing this. However, combining everything into a logical, easy to learn the system that everyone can use, is a trait of a grappling mad scientist! And there’s not many of those lying around. The basis of Neil Melanson’s style and the Neil Melanson DVD Collection as well lie in the sport of catch wrestling. Catch-as-catch-can wrestling is a grappling style that originates from the 1870’s in Britain. British miners and dock workers of the period would pass the time by organizing wrestling matches between themselves. 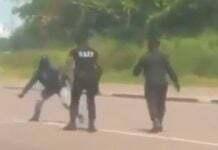 The goal was to catch someone in a submission hold faster than they caught you. Thus, catch wrestling was born. It arrived in the US along with the British sailors and started spreading, mostly due to carnivals. It was precisely this period that gave birth to lots of the vicious submissions that characterize this style. At carnivals, catch wrestlers often challenged people to matches. That meant they had to be ready to beat opponents of all sizes and experience, quickly and decisively. The only way to achieve this was by submitting them with brutal moves that left no doubt as to who the winner is. The single most important goal of catch wrestling is to finish as fast as possible. It actually favors blitz submissions based on brutality to positional submissions. The way catch wrestling benefits BJJ is by picking up where BJJ ends. It is the perfect thing to use when you see openings that Jiu-0Jitsu doesn’t usually exploit. Nneilisi a master at connecting no only BJJ, but Sambo and Judo as well, with the brutal principles of Catch Wrestling. Neil’s style of coaching is a very unique one, just like his grappling style. Apart from his propensity towards combining essential skills from different grappling martial arts, Neil also likes naming things. Unlike Eddie Bravo, he doesn’t go overboard with it but does give his favorite moves cool names. In terms of teaching, this really helps remember them distinctly and call upon them in training. Neil’s unique style brings positional security to blitz catch wrestling submissions. it also works the other way, offering the Jiu-Jitsu game more finishing options from unlikely positions. Furthermore, all submissions in the Neil Melanson DVD Collection are taken from the absolute best sources. Leg Locks from Sambo, chokes from Judo and Wrestling, neck cranks and arm locks from Catch etc. The impressive feat is that it all works as a complete system. A huge mark of Neil Melanson’s teaching methodology is attention to details. He focuses on those tiny little bits that make grappling such an interesting art. However, with details, it is very easy to get lost in unnecessary directions. Neil has the rare ability to single out those details that truly make or break something and then he dissects them down. The Neil Melanson DVD Collection is a set of DVD series that based on a very systematic approach. Melanson likes to do unusually long chapters on most of his techniques. Yet, he has a methodical approach to it, expanding every chapter into a mini system of its own. Combining all chapters provides a grappling system for certain positions that have no holes in it whatsoever. Back when catch wrestler Melanson started working with Gokor and Karo, he was not really savvy from the bottom. Gokor gave a young Neil the valuable advice to expand his bottom game since he was sparring with Karo, who fought in the UFC at the time, Neil had to learn fast. And he did. He not only adopted working from the bottom but ended up thriving there. Melanson brought his catch wrestling philosophy to the bottom grappling game. He ended up going into directions most other people never really explored or deemed ineffective. Today, the guard is considered a favorite position of Melanson’s and triangle chokes are his weapon of choice. In all fairness, all chokes are his strong suit, as you can see from the Neil Melanson DVD Collection. Once he gets a hold of a neck, it is either choke or crank with no chance of escape. Neil’s grappling innovations do not stop at the guard. 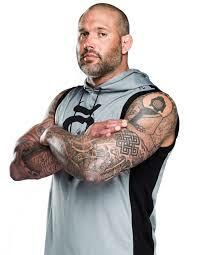 There’s a reason why he coached top level MMA fighters at gyms like Xtreme Couture and Alliance MMA. He went on to find catch wrestling, Judo and Sambo solutions to unsolved BJJ problems, ending up with one of the most exciting and applicable styles ever. It is all in the Neil Melanson DVD Collection. I think we already covered that Neil has a nasty guard game. What we didn’t cover is the complexity of his systems. Or lack thereof. All guard systems that Neil has to offer, both closed, open and the half guard, are very simple in nature. There are no athletic or flexibility requirements. Actually, they fit older practitioners, as well as smaller and female grapplers a lot. Keeping things simple is something BJJ lacks today. If you see everything going on, from clips to full-blown instructionals, people seem to like things that are absurd. No wonder they’re not catching on. 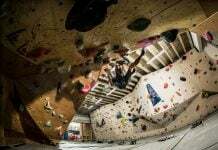 Instead of looking for elaborate moves that very few people can pull off, Neil likes the simple, yet unusually painful solutions. If you can’t get a submission right away, make it as painful as possible until you do get the option to finish. That is a very foolproof way of fighting off your back. All of Neil’s instructionals that are a part of the Neil Melanson DVD Collection follow a similar structure. There are 4 DVDs in each, every disc containing specific in-depth chapters on a certain subject. The subject of the Ground Marshall Guard DVD is the closed guard. Better said, it is Neil’s take on the quintessential Brazilian Jiu-Jitsu position. First things first, it’s the basics of the closed guard. The first volume is all about the very basic closed guard positioning. There are extensive chapters on body positioning, controlling the opponent and crucial attacking strategies. 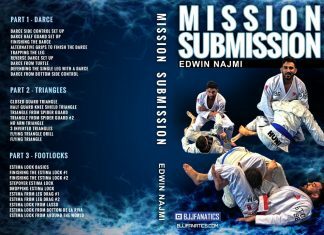 It wouldn’t be complete without a submission, so Neil’s favorite triangle choke wraps this volume up. The second DVD is all about triangles. Neil shares a few interesting setups, but more importantly, he really provides new options on how to finish this classic BJJ submission. Pay attention to the socket triangle. It is incredible! The third volume goes into a different aspect of submitting from the guard. Again, no reverse Barataplatas here. Just the simple good old armbar, with a few incredible twists. Three chapters, all in all, mean Neil leaves no stone unturned when it comes to closed guard armbars. Finally, the fourth volume has the complete Irish Collar guard system which is of Neil’s own creation. It is the end all be all of the closed guard systems. The only thing you’ll ever need to be scary from the bottom. The second member of the Neil Melanson DVD collection picks up where it’s predecessor ended. A few more advancements on the ever-evolving Irish Collar mark the start of this DVD. from there on, Neil provides truly advanced concepts, all about how to bait your opponent into a trap. Guillotines are the submission of choice here for Melanson, and they work like a charm! Next up is his “snare” trap system. It is a true submission hunters dream as it opens up so many different attacks! From reverse Kimuras to sweeping and the ever-present triangle choke, the opportunities are endless! Since Neil is all about grappling without the Gi, and he still likes to have good control over the opponent, he is a big fan of the overhook from the bottom. Perhaps being such a proficient D’arcer has something to do with avoiding underhooks as well. Whatever the case, his overhook guard system is one to carefully look into. Triangles, armbars, sweeps, you name it – they’re all readily available. Staying true to his style, Neil leaves the best for last once again. The K-control system is another one of Neil’s inventions. It is the catch wrestlers take on fighting from the bottom, so expect all kinds of submissions to feature heavily throughout! This is the latest release in the Neil Melanson DVD Collection. It expands even further into the world of guards, this time focusing on the half guard. 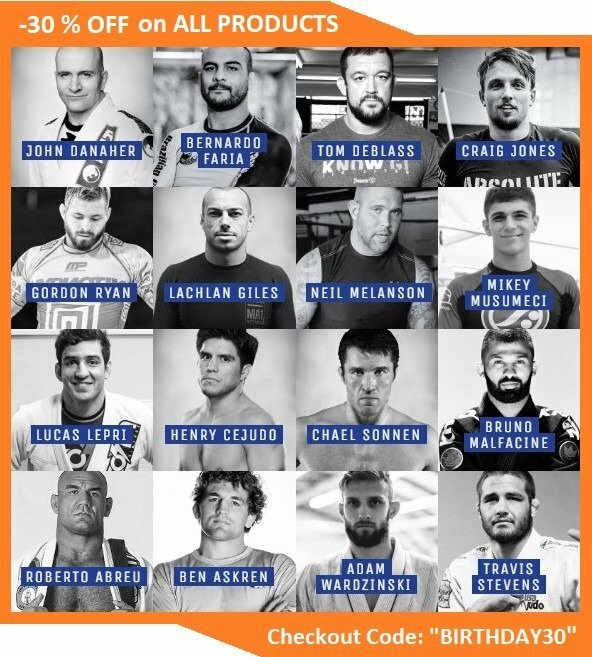 Once again it’s high level, well organized and really helpful for grapplers of all levels. The basics of the half guard are the focus of most of the first volume. 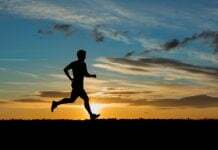 It is all about what is the whole point of the position along with some key Melanson details that are going to change your take on it. There’s a single leg finish from there, to keep things interesting in the volume. The second volume starts with a bang – a bow and arrow neck crank finish. From there on it just gets more and more interesting. And painful for your opponents. Lots of ankle lift sweeps that end up in different submission preceded the notorious Neil Melanson Boston handshake. Of course, there’s a classic catch wrestling submission to cap it off – a Hammerlock. The third volume focuses on the octopus guard and options to finish from there. It is a brand new take on the old octopus guard system. It further branches out into so many different submission systems that your head is going to spin the first time you see it. To wrap it all up, Neil offers what looks like everything he knows about the half guard in the last volume. Crazy sweeps and brutal submissions ranging from chokes to weird leg locks are not lacking in this volume. 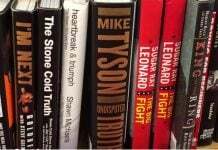 In fact, it is the most submission heavy volume of the whole Neil Melanson DVD Collection. The top game of Neil is his strongest side. Yes, he is a true wizard off his back, but his grappling background is all about torturing people from the top. He has two volumes that focus mostly on the top position. His “Catch Wrestling Formula” DVD is all about the top half guard and side control destruction. The “Headhunter Guillotine Series” DVD is all about front headlock attacks, thus ending up int he top position category. However, the principles of choking people from the front are applicable across the board. This is the DVD that made me drool over Neil Melanson DVD instructionals. It is the first one that he recorded and it is a key piece of material in my own DVD collection. It is something that I base my top game off to this day. Neil goes right into it, covering how to deal with the dreaded underhook when you’re on top in half guard. This is where catch wrestling really shines as every step of every move just puts more and more pressure on your opponent. When you finally end up choking them or arm locking them, they’re going to give away a submission just to get away from you. The second DVD is all about a wrestling classic – the Cow Catcher. It is a modification of this old wrestling move that works like a charm for BJJ, thanks to Neils efforts. The Half Helch is one half guard control you’re going to integrate into your game the instant you lay eyes on it. DVD three focuses on the cradle. It is the ultimate catch wrestling move to pack an opponent into a ball, causing them massive discomfort and unbearable pain. And that’s even before you even try to submit them. The options Neil offers range from crazy guillotines to the tightest rear naked choke setup I’ve ever seen. The final disc takes a turn and looks into a closed guard variation to annoy everyone. But not before he provides several ways of heel hooking your opponent’s from the cradle. The submission-heavy series features every front headlock choke you’ve heard about. Then it goes on to provide choking options that you, I and most people in the BJJ community never thought possible. It is the final piece of the Neil Melanson DVD Collection, at least so far. The very first thing you learn here is how to keep your hands safe from your opponent’s countering efforts. It provides the front headlock basis you need to go into the arm in guillotine, for starters. Unusual and original chokes start from the very beginning, via the Infinity and Manly chokes. The second volume is all about arm-in chokes. 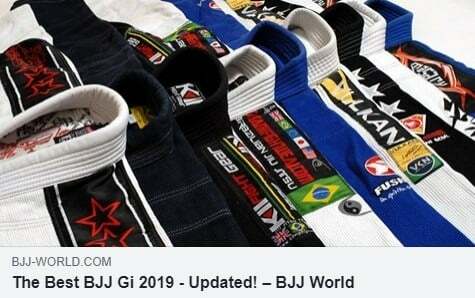 D’arce details, Japanese necktie essentials, and the mandatory never-before-seen chokes. There are also the German and Nelson neckties, the latter one fo the most brutal submissions I’ve ever seen in all of the combat sports. Why do the Anaconda choke when you can go for the much more powerful Boa choke? Yeah, I didn’t know about it either, but then again, nobody did. It is another of Melanson’s inventions and a very efficient and simple one at that. There are also several guillotine choke options that work perfectly along with the Boa. The final disc is a true Neil Melanson treat. It features only original chokes that are real giant killers. 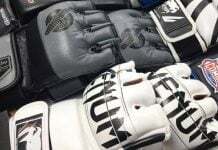 The handgun choke, the prayer choke, and the full stock neck crank are just some of the moves you’ll learn from this instructional.